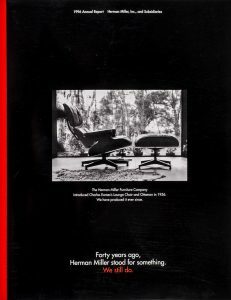 This Herman Miller Annual Report compares Herman Miller in 1956, when the Eames’ Lounge Chair was introduced to 1996 when the chair was still being produced. Many other forty-year comparisons are made including photos and stories about the number of employees, products, facilities, product catalog, and financial details. 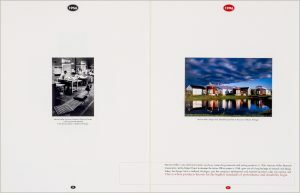 Paper/Material Gloss coated white cover and text. 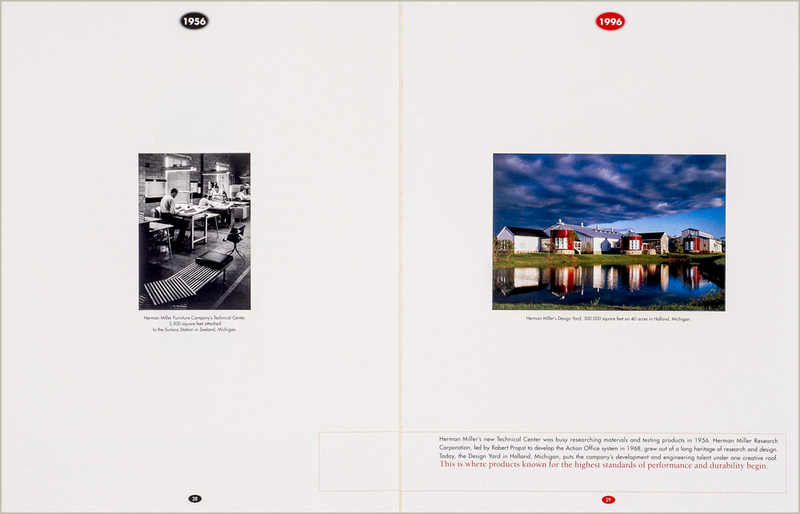 Techniques Offset printing, 4 color process plus 1 spot color and gloss coating. Perfect binding.